Today in class I showed my students the beginning of a short video clip by Sotheby’s about Gérôme’s Cleopatra and Caesar (shown above). The clip highlights how Cleopatra is depicted as having hidden in a rug (either a Persian or Turkish rug), which isn’t an accurate representation of what is described in Plutarch’s text. However, given the taste for exoticism in Orientalist art at the time, I can see why Gérôme’s opted to depict a carpet rug instead, despite the cultural inaccuracy and anachronism. 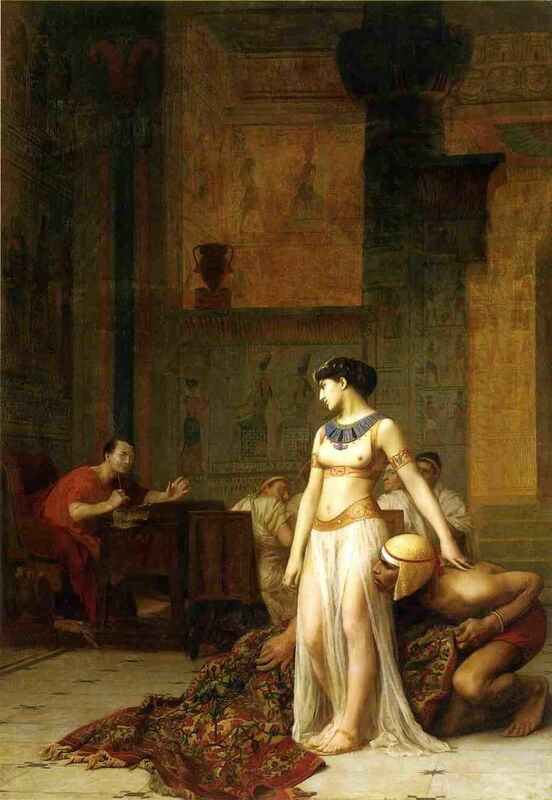 The video clip mentions how Gérôme’s painting has influence on Cecil B. DeMille, who directed Cleopatra (1937, starring Claudette Colbert). I can see how the inaccurate inclusion of a carpet could perhaps connect to this point, since a carpet rug was used to smuggle Cleopatra into Caesar’s presence in DeMille’s film (see image below). Similarly, a later version of Cleopatra which was directed by Joseph L. Mankiewicz (1963, starring Elizabeth Taylor) has a great scene which shows the queen dramatically and unceremoniously unrolled from a rug before Caesar (who is played by Rex Harrison). I can see why these filmmakers opted to depict a lavish carpet – it is more visually striking and dramatic than a sack used to hold bedclothes (as described by Plutarch). Do you know of other examples in art or popular culture that display Cleopatra with a carpet? 1 Christopher Pelling, Plutarch Caesar: Translated with an Introduction and Commentary (Oxford: Oxford University Press, 2011), p. 385. 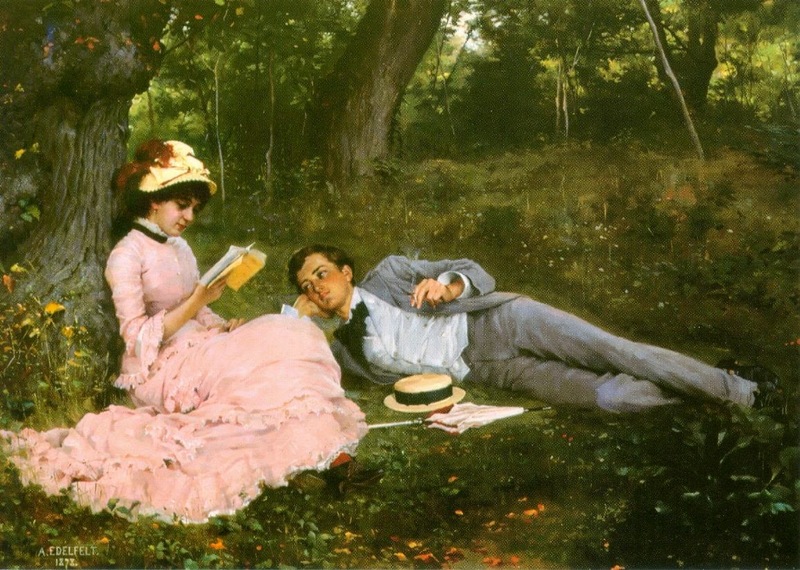 I’m on a roll this week with my posts on 19th century art, aren’t I? I have been discussing Manet’s Le Déjuner sur l’herbe (Luncheon on the Grass) with my students over the past few days, particularly in how this painting caused a scandal when it was displayed at the Salon des Refusés in 1863. In that discussion, I had a student ask what was the first painting that Manet ever submitted to the Salon for consideration. I didn’t know that answer off the top of my head, so I looked up that information after class. After a little research, I learned that The Absinthe Drinker (c. 1859, shown below) was submitted to the 1859 Salon, when Manet was twenty-seven years old. It was rejected almost unanimously by the committee, with only Eugene Delacroix voting in its favor. I can see why this painting was rejected. The painting looks rather unfinished, and the legs of the figure are quite awkward. The feet turn outward in an awkward way, so that it looks like the shoes are worn on the wrong feet! That being said, I can’t deny that I’m also drawn to the contrast of the black shoes and bottle with the light-yellow floor. Two years later, in 1861, Manet had two paintings accepted into the Salon for the first time. At this point, Manet was twenty-nine years old. 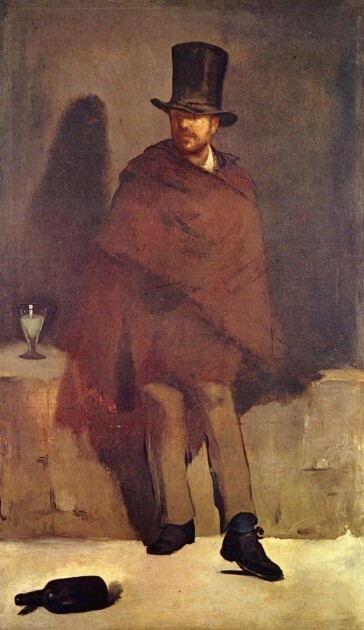 One of these debut paintings was The Spanish Singer (1860, shown below). This also was the first work that brought Manet critical success and recognition; he actually won an honorable mention at the Salon for this painting. Manet, “The Spanish Singer,” 1860. Image courtesy WikiArt. 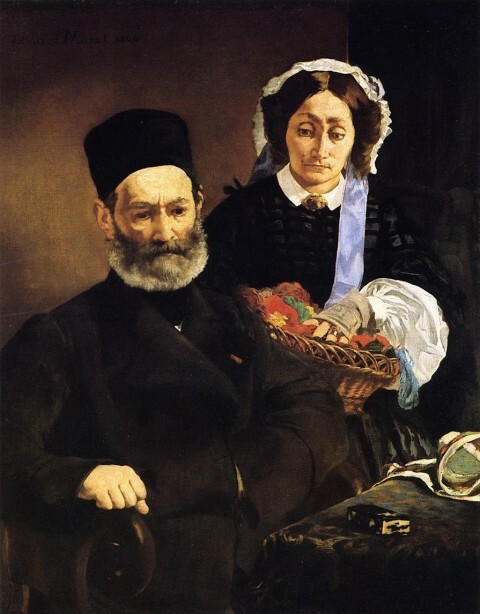 The other painting which was accepted into the Salon of 1861 was a portrait of Manet’s parents, Portrait of M. and Mme Auguste Manet (1860, shown below). This painting did not receive critical attention or favor, which makes sense to me. Madame Manet’s facial features are a bit awkward and asymmetrical (more so, than say, Manet’s Olympia), and the shading of her face seems a bit inconsistent. It was fun for me to look into these paintings and see some works of art that preceded Manet’s more famous paintings like Luncheon on the Grass and Olympia. 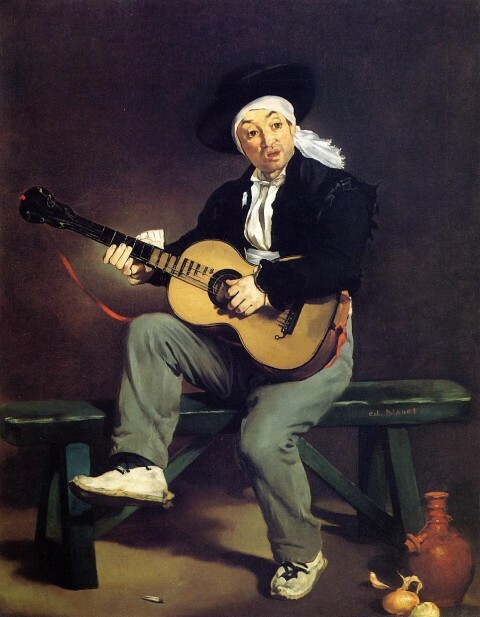 I think these earlier paintings are great examples of how Manet was influenced by Velasquez. I particularly thought of Velasquez’s The Water Carrier of Seville (1618-1622) when I looked at these early works, particularly in terms of the color palette, dramatic use of light, and the Caravaggesque background. It was surprising for me to realize that Manet was in his late twenties when he started submitting paintings to the Salon. He achieved a lot of attention for his art (for better or for worse) fairly early in his life, especially considering that he was just thirty-one when Luncheon on the Grass was hung in the Salon des Refusés in 1863! (This same year, Manet married his old piano teacher, Suzanne Leenhoff, a woman who was two years his senior. It could be that Manet fathered a son with Suzanne a little over a decade before the wedding.) I suppose it was good that Manet captured the attention of the Parisian artistic scene at a relatively young age, since he died of syphillis at the age of fifty-one. What early works by Manet to you like (or not like)? 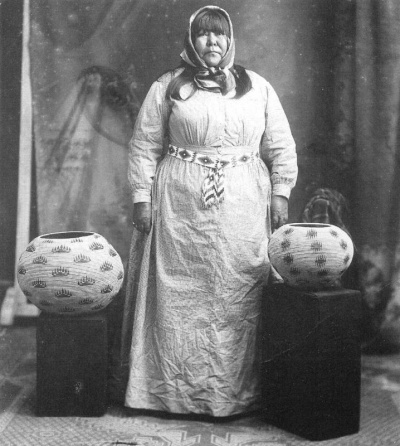 Louisa Keyser (Datsolalee), Degikups (“day-gee-coops”) basket bowl (“Harbor Lights” design, as dubbed by Keyser’s dealer), 1907. Willow shoots, redbud shoots, bracken fern root. On one hand, the “exoticizing” of American Indian culture and craft at Western venues like the 1893 Columbian Exposition likely spread some inaccurate information or perceptions of American Indians to those who visited the fair. At the same time, though, this Western venue helped to promote Datsolalee and her basketweaving. And, thanks to the the detailed bills of sale written by Datsolalee’s art dealer, we know about Datsolalee today (although, admittedly one needs to separate the truth from myth). I think these points help illustrate that the dissemination and preservation of knowledge, especially accurate knowledge, is a tricky thing when it comes to cross-cultural interactions. 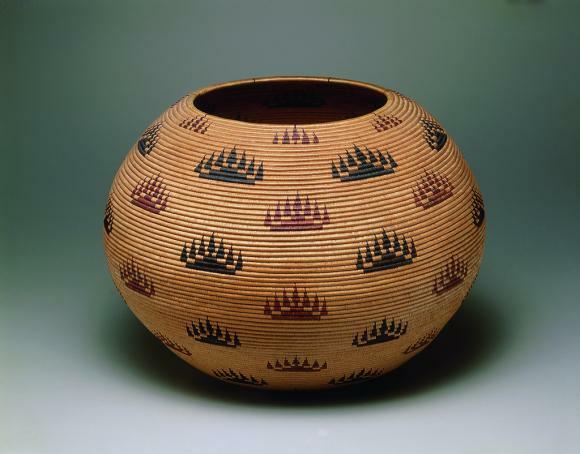 What do you know of other ways in which Westerners helped to preserve the information about American Indian craftsmen and artists? Do you know anything else about Datsolalee which interests you? I learned today that she requested to be buried with one of the last baskets she made, which I thought was fitting. 1 Tour with David W. Penney, Seattle Art Museum, February 10, 2015. 2 Elizabeth Hutchinson, The Indian Craze: Primitivism, Modernism, and Transculturation in American Art, 1890–1915 (Durham, North Carolina: Duke University Press, 2009), p. 43. Available online HERE. 3 Marsha C. Bol, “Defining Lakota Tourist Art,” in Unpacking Culture: Art and Commodity in Colonial and Postcolonial Worlds, by Ruth B. Phillips, Christopher B. Steiner, eds. (Oakland, California: University of California Press, 1999), p. 200. Available online HERE. 4 The name “Dat-so-la-lee” means “Big Hips” in Washoe. However, I also found elsewhere that the nickname was actually due to “Dr. S.L. 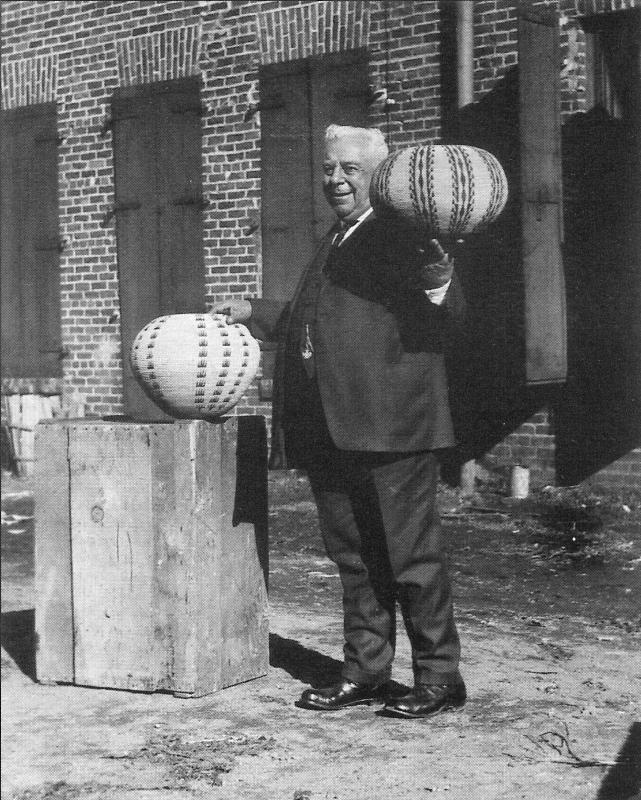 Lee,” the first white man to admire and take an interest in Datsolalee’s baskets. See HERE. 5 For more information on the myths that were propagated by the Cohns, see Christopher Ross, “Datsolalee and the Myth Weavers” in The Historical Nevada Magazine: Outstanding Historical Features from the Pages of Nevada Magazine by Richard Moreno, ed. (Reno, Nevada; University of Nevada Press, 1999), 86-94. Available online HERE. This afternoon I learned that I can no simply write “Alma-Tadema” to designate the paintings of Sir Lawrence Alma-Tadema, a Dutch-born artist who worked in England in the latter part of the 19th and early 20th centuries. Writing just the last name would be too confusing, since I now have learned that Lawrence was not the only painter in his family: his second wife, Laura Theresa Alma-Tadema (maiden name: Laura Epps) was a painter as well, as well as his daughter Anna! I love the thought of the Alma-Tademas painting together and consulting each other on their latest artistic project. I want to highlight these two lesser-known female Alma-Tadema artists, Laura and Anna, in this post. According to her obituary in The Times in 1909, Laura was being trained as a musician until she met Lawrence Alma-Tadema, who subsequently taught her how to paint. The two were wed that same year, in 1871. 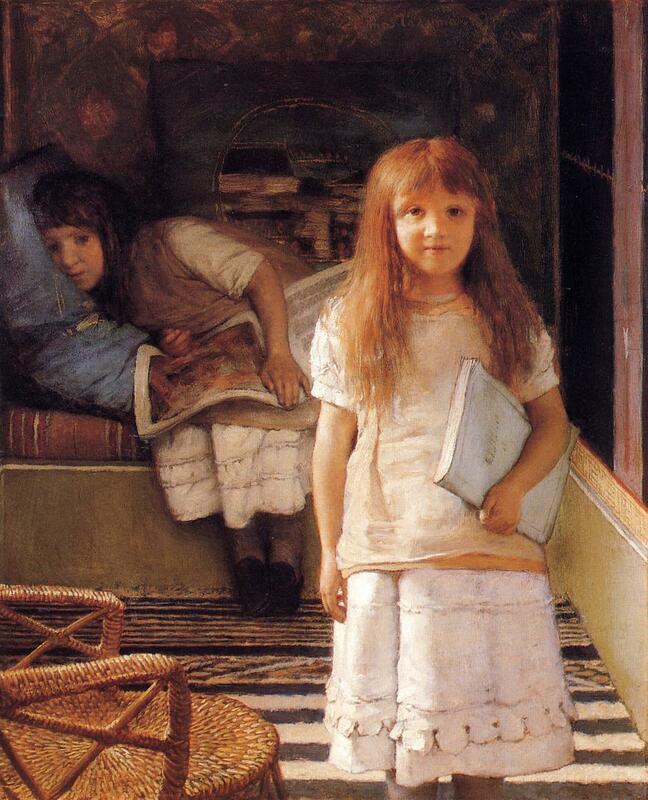 The paintings by Laura Alma-Tadema are different than her husband, though I do think that their styles are complementary. Although both husband and wife were interested in depicting scenes from the past, Laura’s paintings tended to focus more on genre and domestic scenes. Laura Theresa Alma-Tadema, “Always Welcome,” 1887. Russell-Coates Art Gallery and Museum. The painting Always Welcome (shown above), suggests the interior of a Dutch home in the 17th century, particularly due to the clothing of the little girl. 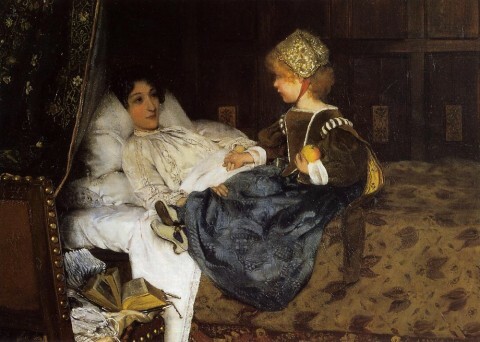 In this scene, a young girl has come to visit her invalid mother. This painting was owned by the collector Sir Merton Russell-Coates, and it was Merton’s favorite piece in his extensive collection. The painting also resonates with me, since my littlest sister, a blonde, was five years old when my dark-haired mother fell very ill and was bedridden some years ago. Similar subject matter that celebrates the Golden Age of Holland can be seen in lots of Laura’s other paintings, including At The Doorway and Sweet Industry. Although I do think that her husband was the greater of the two artists (there are some bits of awkwardness in her proportions and stiffness in her figures at times), I’m glad to know that Laura was a painter in her on right. 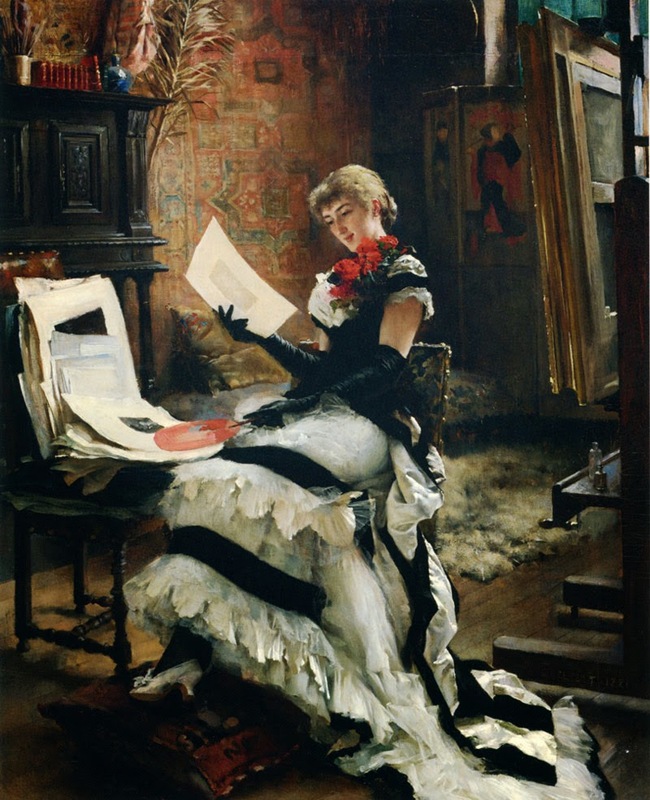 She exhibited regularly at the Royal Academy and also exhibited elsewhere in Europe, including the International Exhibition in Paris (1878) and International Art Exhibition in Berlin (1886). There is no doubt that Lawrence and Laura’s artistic influence played a role in the art created by Lawrence’s daughter, Anna. Anna and her elder sister Laurence were born to Lawrence’s first wife, Marie-Pauline Gressin Dumoulin, who died the year that Anna turned two years old. The two sisters are depicted in This is Our Corner (shown above), painted by their father Lawrence in 1872. Anna Alma-Tadema enjoyed some success as an artist, particularly during the time that her father was also alive. 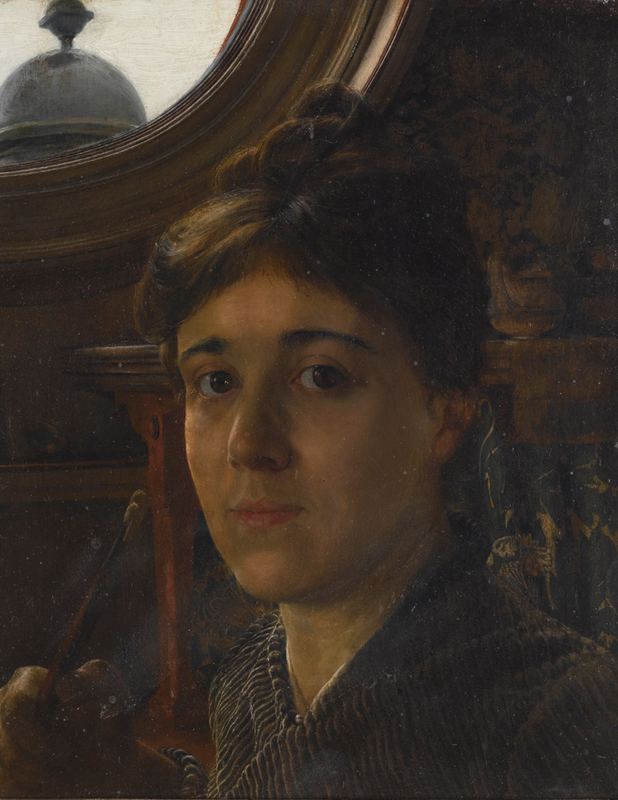 Like her stepmother Laura, Anna also exhibited at the Royal Academy and other international exhibitions. Anna was a talented artist with an eye for fine detail, which allowed her to create some beautiful paintings of domestic interiors full of exotic and luxurious items. One watercolor, The Drawing Room (1885, shown above), was created when Anna was a teenager. This painting was exhibited in the Columbian Exhibition in Chicago in 1893. I think it is easy to see how Anna’s taste for luxury and exoticism fits with the aesthetic of her father’s romanticized and orientalist paintings. Anna Alma-Tadema (1865-1943), Self_Portrait, n.d. Oil on paper. The two Alma-Tadema sisters never married – in fact, Laurence, a writer, wrote a short poem, “If No One Ever Marries Me” in 1897. The two sisters reputedly lived in poverty and obscurity after their father’s death, which is unfortunate given their talent and promise. In order to help pull Anna’s work out of obscurity, I’ll be more careful and specific when I label something by one of the Alma-Tadema painters. Even in writing this post, I found several paintings by Laura and Anna which were attributed to Lawrence (something that another blogger lamented back in 2011!). 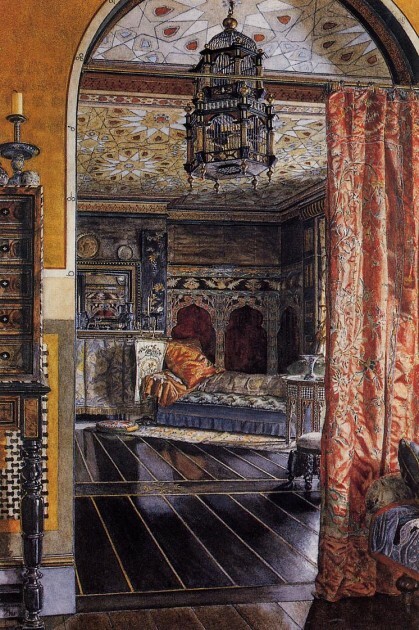 What are your favorite paintings by either Lawrence, Laura, or Anna Alma-Tadema? 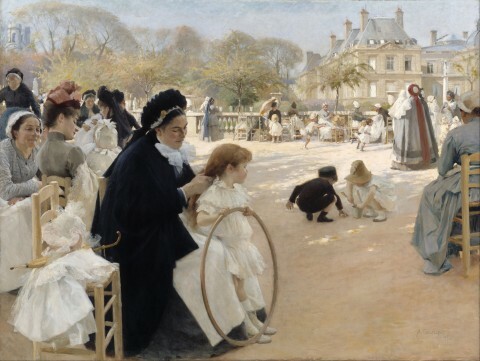 Albert Edelfelt, “The Luxembourg Gardens, Paris,” 1887. Image courtesy Wikipedia. 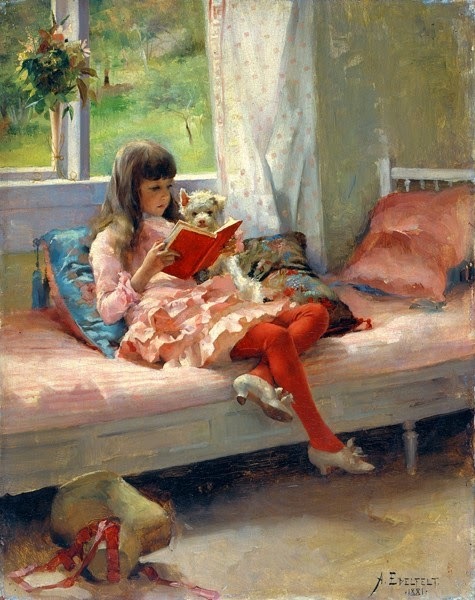 Over the past couple of days I have been obsessing over paintings by the Swedish-speaking Finnish artist Albert Edelfelt. I am drawn to several of his portraits and outdoor scenes, such as Idyll (1878), Good Friends (Portrait of the Artist’s Sister Bertha Edelfelt) (1881), Chez L’Artiste (Les Graveurs) (1881), and The Luxumbourg Gardens, Paris (1887, shown above). The painterly style and/or plein air subject matter remind me a little of French Realism and Impressionism, so I wasn’t surprised to learn in the artist’s biography that the artist lived in Paris for over fifteen years. Albert Edelfelt, “Queen Bianca” (also appears as “Queen Blanca”), 1877. Image courtesy Wikipedia. I love the interaction between the mother and boy in this image, and I love the healthy curves of the boy’s childish body. 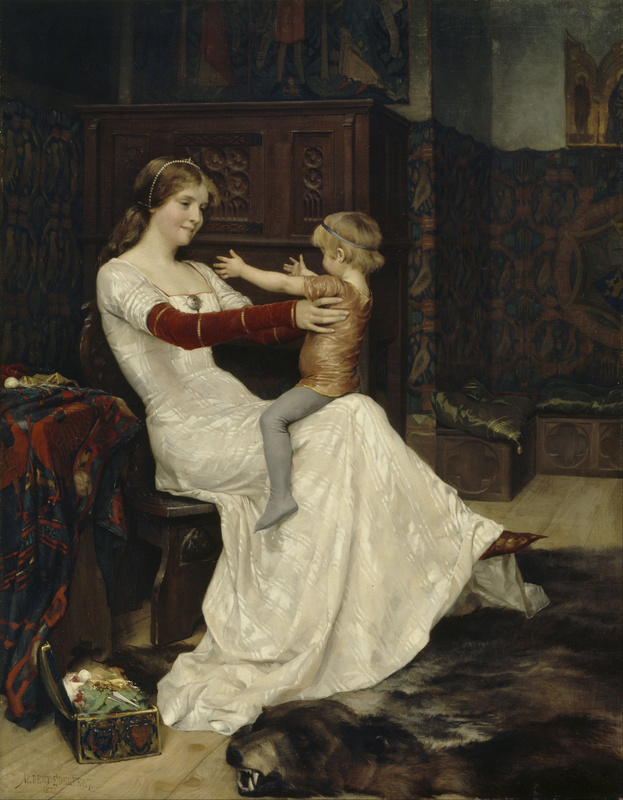 Edelfelt has quite sensitive and loving depictions of children and women in many of his paintings (which no doubt aided in the success of this particular painting in the 1877 Salon). The artist didn’t become a father himself until more than ten years after Queen Bianca was painted; his son Erik was born in November of 1888, and was depicted the following year in The Artist’s Son Erik in His Pram). Are you familiar with Albert Edelfelt’s paintings? Which ones do you like? Do you know of any other works of art which are connected to a children’s song? 1 A second loosely-historically-inspired painting, “Duke Karl Insulting the Corpse of Klaus Fleming,” was created by Edelfelt the following year, in 1878. For discussion of this painting, see Natasha Bulatovig Trygg, “Cutting Through the Legible – Study of Painting Duke Karl Insulting the Corpse of Klaus Fleming by Albert Edelfelt, 1878,” available online HERE. 2 Google Art Project, “Queen Bianca, 1877.” Available online HERE.